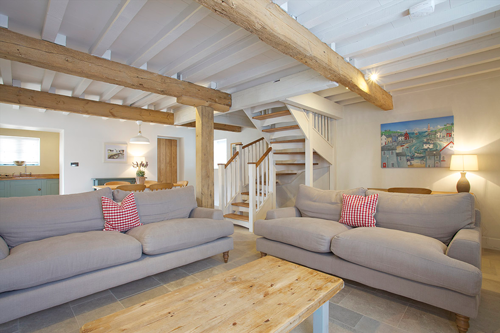 Luxury Self Catering Cottages at the Heart of the Jurassic Coast in Dorset. 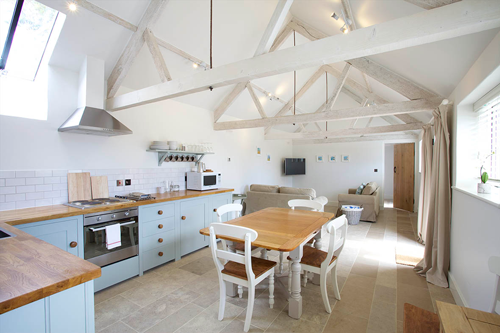 Set in a truly inspirational location, high on the hill above the iconic rock arch of Durdle Door, these architect designed and ecologically built cottages occupy what was once a group of working period farm buildings. With names taken from their historical purpose you can choose to stay in the Dairy, Cart Shed, the Stalls, Granary, the Old Shop or the Shelter Shed. Whichever you choose you will enjoy Four Star Gold Award quality, designer styling and comfortable furnishings. 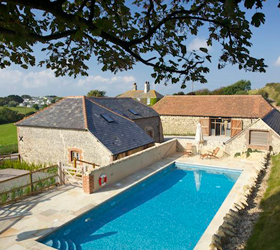 All cottages share exclusive use of the heated outdoor swimming pool, fitness and recreation barn and in this money-can’t-buy location, are the closest you can get to the famous landmark of Durdle Door on the World Heritage Jurassic Coast. With the South West Coast Path running almost past the door, you will soon be discovering for yourself the awesome land and coastal scenery and safe beaches for which this area is well known. Available for hire for the week, long weekends and weekday breaks all year round. We also welcome enquiries for house parties, corporate bookings and special occasion gatherings. Dorset Tea thanks Durdle Door Holiday Cottages for this blog and images.